There was uproar last year when the European Union banned the importation of Alphonso mangoes because of fears they were infested with fruit flies that could damage European salad crops. In India the Alphonso is a national obsession. For a brief season it bowls cricket for six and pushes Bollywood to the back of the queue. 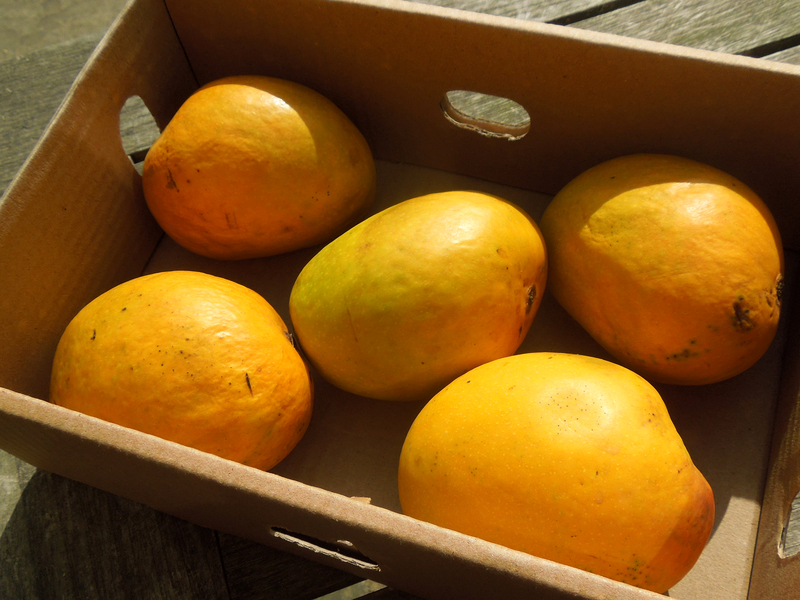 It’s regarded as the pinnacle of mango perfection, with its golden skin and honeyed, aromatic flesh. It’s all the more desirable because it’s only available from around now until the end of June. Aficionados in the UK share India’s passion and the decision to lift the EU ban was greeted with cries of joy. I ordered a boxful and have been awaiting their delivery with huge anticipation. The demand was so great that I got an email telling me it would be another week before I could get my hands on them. But they were worth the wait. They’re so ripe and juicy, I think the best way to eat them is in the bath, alone or with your loved one. But please let’s draw a veil over my private life. What I’m proposing today is that you try a kulfi. Traditionally the base for this Indian ice cream was made by boiling milk and sugar for hours and hours. Happily the invention of condensed milk means we can take a short cut. Kulfi tends to be very sweet and I like to add a squeeze of lime juice, but it’s not obligatory. 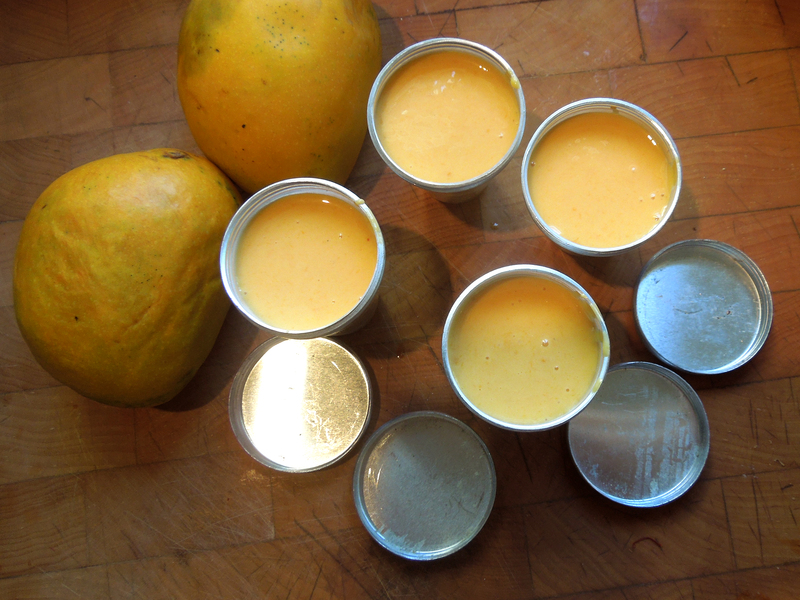 Stone and peel the mangoes, scooping out the ripe flesh into a large bowl and pureeing with a stick blender. 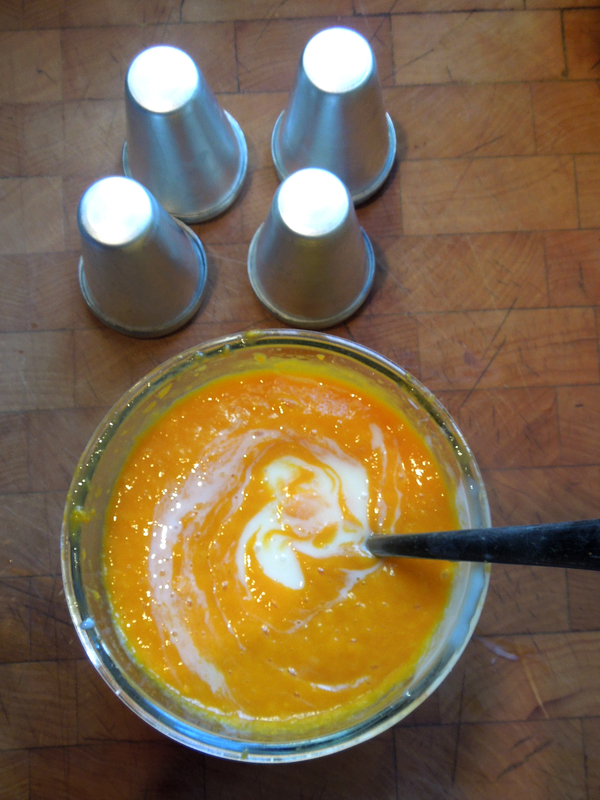 Add the condensed milk, saffron and its water, cardamom powder and cream. Mix well. Taste and add the juice of half a lime, if using. Either pour the mix into special kulfi moulds or use dariole or ice lolly moulds, leaving a bit of space for expansion. Freeze for 4-5 hours. To serve, remove from the freezer 10-15 minutes before you want to eat and if necessary, dip briefly into hot water to unmould. Decorate the tops with a little gold or silver leaf, if using. You can eat this alone but on the assumption that you can’t have too much of a good thing, especially when it has such a brief season, I like to serve the kulfi with fresh mango with another squeeze of lime. Try cutting it into a hedgehog: without peeling the fruit, find the large flat stone with your fingers and slice off the cheeks either side of it. Now score vertical and horizontal lines into the flesh without cutting through the skin. Hold both sides of the fruit and gently turn it inside out so the squares of fruit stand proud. Any flesh left clinging to the stone is the chef’s perk. 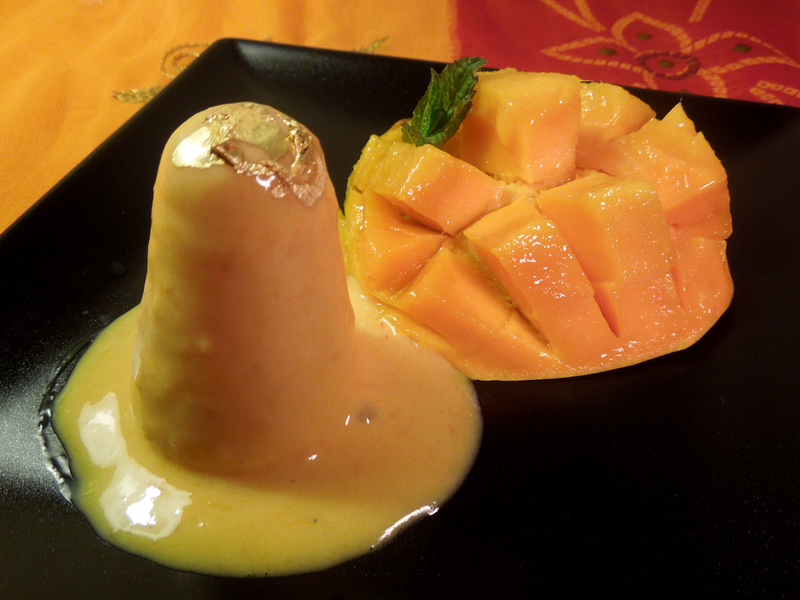 This entry was posted in Desserts, cakes and biscuits, Fruit, Vegetarian and tagged Alphonso mangoes, Indian ice cream, kulfi, mango kulfi by Linda Duffin. Bookmark the permalink. Linda, they look divine. 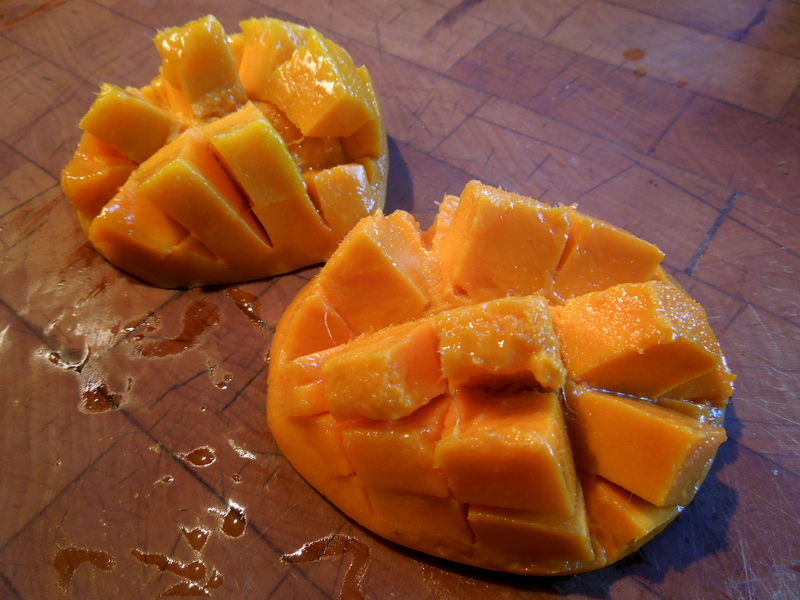 It is nearly impossible to get an edible mango of any sort in Ireland. My youngest brother lives in Dar es Salaam and gets to eat the heavenly fruit all the time. Beautifully done. I also have to admire the bowling, back of the queue and veil references. Nice writing. Thank you kindly on all counts. It’s pretty hard to get them here too, but I took a chance on mail order.